Transform the exterior of your home or business. Reduce your solar gain, keeping it naturally coller inside. Protect carpets and furnishings from fading. Protect against UV radiation from the sun, filtering 95%. Choose from the most comprehensive collection available with over 200 different designs, including the chance to design your own. From Plains and block stripes, to multistripes and speacial prints. There is a design to suit all! Luxaflex canopies will enhance the exterior look of your home or business premises as well as providing shade for your room. Luxaflex canopies can be manufactured in a variety of shapes to compliment the architecture of your home or business premises. Choose from an array of fabrics to suit your premises and why not create a visual statement by having your details screen printed or sign written across the fabric. 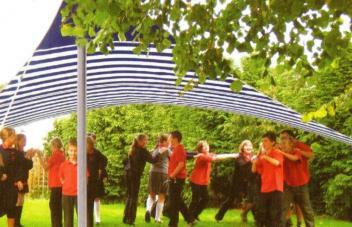 Luxaflex canopies are manufactured from high quality anodised aluminium with cast components. Generally they are covered with acrylic fabric that is secured to the frame by staples and hidden by PVC hideaway piping. retractable. 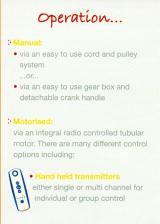 Folding canopies are manually operated using cords & pullies. Tested to withstand wind-speeds of 20mph. Range of shapes, to suit all tastes and properties. 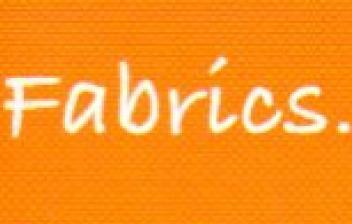 Wide range of hard wearing, easy clean acrylic fabrics. Constructed from corrosion resistant, powder coated, extruded aluminium hardware and white glass filled nylon components for durability and longevity. Manufactured from standard Sattler acrylic fabric.